Washington DC is an amazing destination for families. There are dozens of free attractions, large grass areas, great food and excellent transportation options. With so much to do you will want to find a great hotel that is centrally located and spacious enough to relax in after a long day of sight seeing. And, I have just the place for you. Upon entering One Washington Circle Hotel you will immediately experience the incredibly warm and cheery personal… even when arriving at 2:30am as we did coming off a red eye. Everyone from the bellman to the front desk is eager to give you a smile and offer any assistance you need whether it be an extra pillow or directions to the best Ethiopian restaurant within walking distance. The service doesn’t end there. The staff also offers fresh fruit in the lobby as well as fruit infused ice water to keep you refreshed in the afternoon. And, in the evenings you are treated to complimentary wine. Both of which are much appreciated as you enter the hotel with weary legs after all the sightseeing you’ve done. We were fortunate enough to stay in a king suite, which was a perfect match for our family. We had a separate spacious master bedroom with a cozy king size bed, dresser, tv and sitting area with a chair and side table. Our suite had one full bathroom near the master bedroom + one 1/2 bath in the living room. Two toilets, separate mirrors and more room to change is a huge benefit when you are traveling with a large family. It made our mornings run much more smoothly! The kids slept in the living room, which was outfitted with a sofa sleeper and oversized chair. The square footage made it feel more like an apartment than a hotel. The living room was attached to a massive balcony, which overlooked Pennsylvania Ave. Further left the living rooms bent into a full dining room complete with a regular sized table and chairs. There was a decent sized kitchenette attached to the dining room that housed a small refrigerator/ freezer, oven, stove-top, dishwasher and microwave. The kitchen was also stocked with all the necessary items needed to cook a full meal. The convenience of the kitchen as well as the added space truly made our stay at One Washington Circle a pleasant one. I can’t tell you how nice it was to have our fridge stocked with staples like milk, cereal, bread, peanut butter, yogurt and organic fruit from the Whole Foods market around the corner. Mornings are always chaotic so anything to make them run more smoothly is a great big plus for me! Having the separate bedrooms also meant the baby could go to bed early in our room while the bigger kids played games and watched movies in the living room. With all the kids settled down my husband and I would retreat to the balcony and admire the gorgeously lit capital city with a cup of warm coffee in our hands. Absolute bliss!! With the kitchen available and all the amazing food surrounding us in DC we didn’t have the opportunity to check out the hotel’s restaurant the Circle Bistro which was really a shame. The Circle Bistro is a farm to table dining experience, which is consistently ranked as one of the “Top 100 Best Restaurants in DC” by Washington Magazine. The Circle Bistro is open for breakfast, lunch and dinner and menus can be viewed here. The hotel also has a great hotel bar named The Circle Lounge. The bar serves up small plates and delicious cocktails. Don’t miss their happy hour every night starting at 5pm. Another bonus about staying at One Washington Circle Hotel during warmer months is they have an outdoor pool. The kids can unwind or burn some energy while you relax poolside with a nice cocktail in hand. Feel like staying fit? No worries the hotel has a well-equipped gym with cardio machines, weights, yoga mats and towels too! One Washington Circle scores an 8 on our kid friendly rating. The staff made all of us feel totally welcomed as they greeted the children and asked them about their day every time we walked by. The accommodations offer ample space for families and the addition of a kitchen and extra bathrooms was a huge plus! Not to mention the hotel is located just blocks from the White House and the monuments, across the street from the metro, within walking distance to Georgetown and next door to Starbucks make it hard to beat. If the hotel stocked cribs and had a kids program they would easily score a 10 in my book. I would absolutely recommend this hotel as an affordable option to traveling families looking for a great place to stay in DC. One Washington Circle is surrounded by wonderful family activities and sight seeing. You can literally walk to the White House, the National Mall and the Smithsonian museum collections. In fact we did just that several times! Or if you prefer hop on the metro and get there even faster. Feel more like shopping and dining. No worries you are also close to Dupont Circle and Georgetown as well. To see just how close everything is check out the list on the hotel’s website here. If you are looking to stay in the West End look no further than One Washington Circle Hotel. You will receive exceptional hospitality, a spacious room and be centrally located to all the major sites. For more information please check out One Washington Circle Hotel’s website, Facebook, Instagram or Twitter. *A special thanks to One Washington Circle Hotel for hosting the munchkins in DC. As always my thoughts and opinions are 100% my own. This is great, thanks for this review! My sister in law lives in DC, and we are looking at taking a trip, so this is good to know! Love the photo of the kids jumping! The food looked really good too! Well this looks like an absolutely lovely place to stay! That poolside lemon water looks delish! This sounds like a wonderful hotel! It can be so hard to find a hotel that fits the whole family right in central city destinations, especially places like DC and NYC, and your suite looks nice and spacious enough for everyone. Thanks for the tip! What a lovely looking hotel! You’re right – with a family a suite feels a lot more comfortable than just a room. Would you mind sharing how you booked the hotel? Got on their website, but if I put in that we have 4 kids, it says nothing is available that would fit us. Do you just not put in all the kids? 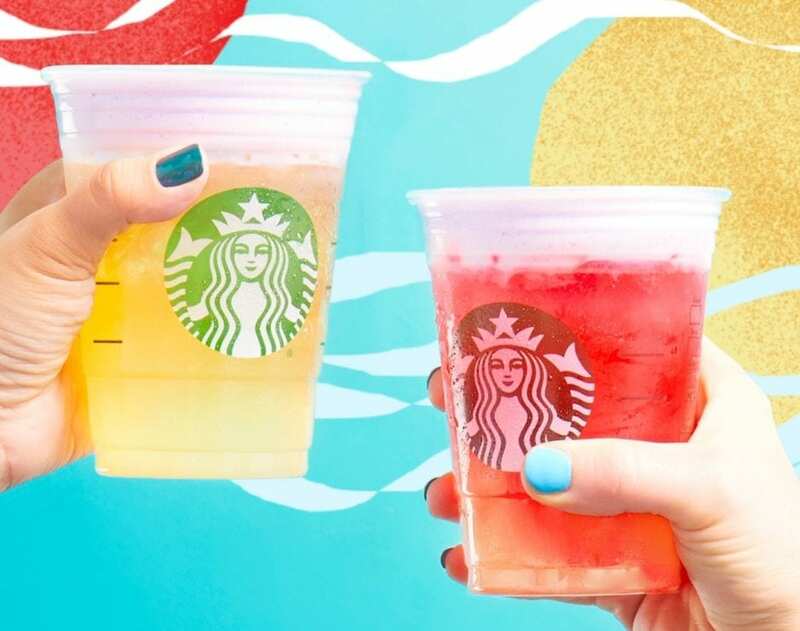 Starbucks Summer Game Boardwalk is Here! Super Secret Ways to Win!